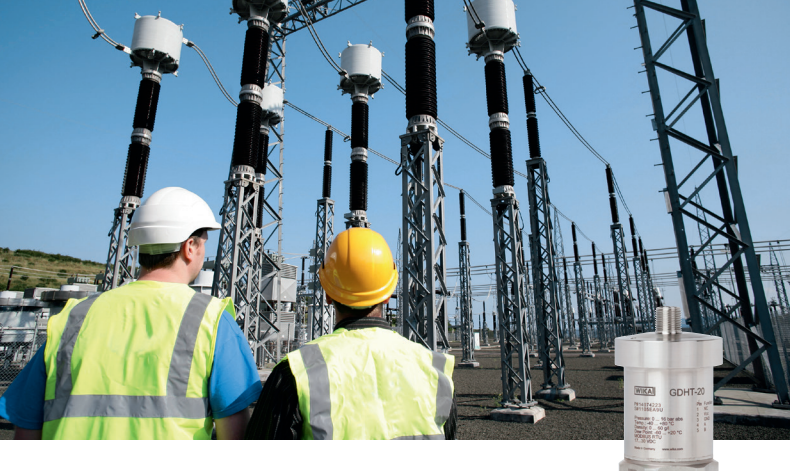 For decades, the power transmission and distribution (T&D) industry has been using sulfur hexafluoride (SF6) as the insulator in circuit breakers, disconnectors, and switchgear. The heat transfer and dielectric characteristics of this gas are better than those of air and other gases, so SF6 is a very effective arc quencher. However, to provide adequate insulation and to avoid harmful emissions to the environment, the amount and composition of the gas in the equipment must meet specific conditions. You must closely monitor the volume and purity of SF6, its humidity, and the amount of byproducts in the gas chamber to ensure proper functioning. A very effective way to assess the conditions of the gas in SF6-insulated equipment is through gas density. It is common to measure gas temperature and gas pressure, and then use those measurements to calculate density using an equation of state. The accuracy of the density value will depend on the accuracy of the temperature and pressure measurements. Ambient conditions, however, can affect gas temperature and pressure measurements. Ambient – or atmospheric – pressure, for example, varies from day to day and from place to place. Altitude also affects ambient pressure: The greater the altitude, the lower the ambient pressure. Using a gas pressure measurement that has been affected by fluctuations in ambient pressure results in an inaccurate density value; as a result, the equipment and the safety of the operation can be compromised. One can avoid the effects of ambient pressure variations in gas density measurements by measuring absolute gas pressure instead of relative gas pressure. Absolute pressure uses a vacuum as reference, while relative pressure uses ambient pressure as reference. By being referenced to a vacuum, absolute pressure eliminates any inaccuracies that can be caused by changes in ambient pressure. The actual gas pressure is accurately measured, leading to correctly calculated gas density. An all-in-one gas temperature, pressure, humidity, and density transmitter such as WIKA’s GDHT-20 will provide the information you need—and at the level of accuracy you require—to protect your equipment and the safety of your operation. Hermetically sealed, the GDHT-20 measures gas pressure against a vacuum. Based on its gas temperature and pressure measurements, a powerful microprocessor calculates the density of SF6 using a virial equation of state. The GDHT-20 has long-term signal stability and electromagnetic compatibility (EMC) characteristics. It is maintenance-free and requires no recalibration. The streamlined design and compact size of the GDHT-20 make it easy to incorporate into new and existing T&D equipment. The GDHT-20 uses the MODBUS protocol and can accommodate up to 247 transmitters in one bus system, making it ideal for online, continuous, and smart monitoring of T&D operations. By eliminating errors caused by fluctuations in ambient pressure, the GDHT- 20 is reliable and accurate. Call WIKA’s experts today. They can help you avoid the negative effects of variations in ambient pressure to get the most out of your SF6-insulated equipment.